Home › Culture › Help Ellwyn with his MA research and receive a Celtic flag! I’m a Welsh artist based in Cardiff and Pontypridd. I’m a Fine Art MA student, and my work is currently centred around where people of Celtic heritage have historically and contemporaneously emigrated to. Part of my current practice involves sending small pieces of artwork to members of the Celtic diaspora anywhere in the world, with a request that they photograph it somewhere where they live and send the picture back to me – the work is theirs to keep afterwards. I’m hoping to build a collection of images that illustrate the variety of places Celtic peoples of any generation now live, whilst providing an opportunity for participants to speak about those places. In turn I hope to explore and foster discussion around the reasons for emigration, and the imprint our cultures and languages have left in small corners of the globe. 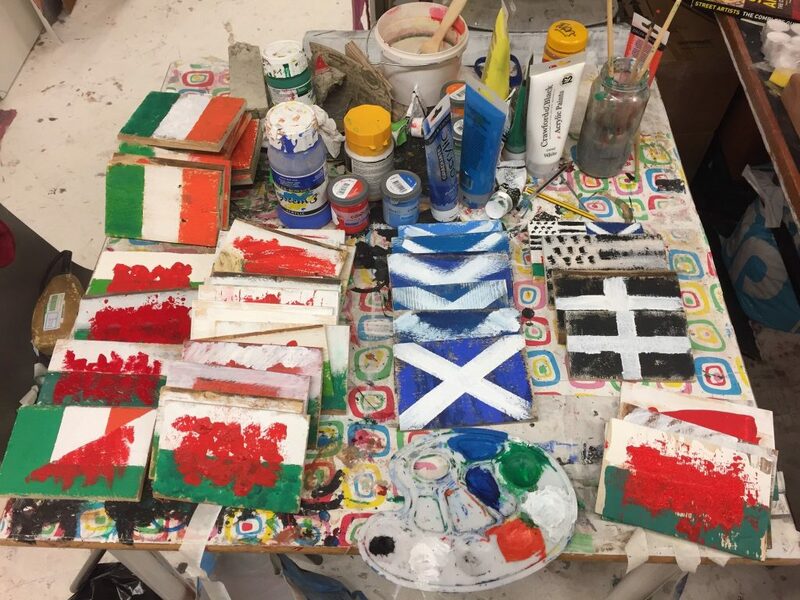 Each piece is about the size of a postcard, I’ve sent out around 50 so far and have had a few images back – you can follow the results on Twitter via @Arlunydd and #CelticDiaspora. Please get in touch if you are interested in participating! ‹ Celebrating 40 years of The Manx Society of Minnesota – Come and join us!